2017 Tony Awards! | All Tickets Inc.
All Tickets Inc. > Buzz > News > 2017 Tony Awards! Home » Buzz Article » 2017 Tony Awards! 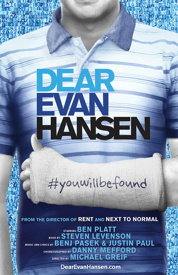 Dear Evan Hansen is one of the favorites this year! The Tony Awards are set for June 11th at 8pm on CBS and audiences will be watching to see all of the performances! Some highlights will be songs from Great Comet, Dear Evan Hansen waving through a window, and Bette Midler will be gracing the stage in Hello Dolly! hoping for a Best Revival win. After last year’s incredible and inevitable sweep by Hamilton, this year’s awards may not be as crazy. However, Come From Away, Dear Evan Hansen, Great Comet, and Groundhog Day have caused a stir in audiences. Come From Away and Dear Evan Hansen are the two shows to really tackle from social and historical controversies this year…so my money’s on one of those shows to bring home the award for Best Musical this year. When it comes to Broadway plays, there have been some incredible performers in New York City this year. There are some big names nominated for awards including Cate Blanchett, Danny DeVito, Jennifer Ehle, Sally Field, Laura Linney, Laurie Metcalf, Nathan Lane, Richard Thomas, and Cynthia Nixon. Whomever wins the awards for Best Actor or Best Actress in a play will be in the company of many other talented nominees. All Tickets wants to know your picks for the 2017 Tony Awards. Who will take home the award for Best Revival? Will Pasek and Paul win Best Musical for Dear Evan Hansen? Which musical performance are you most excited for? Let us know @AllTicketsInc on Twitter! Use the tonyawards.com to see all the nominees in every category.